This is Stålverk’s first installment in the new series of sample packs. 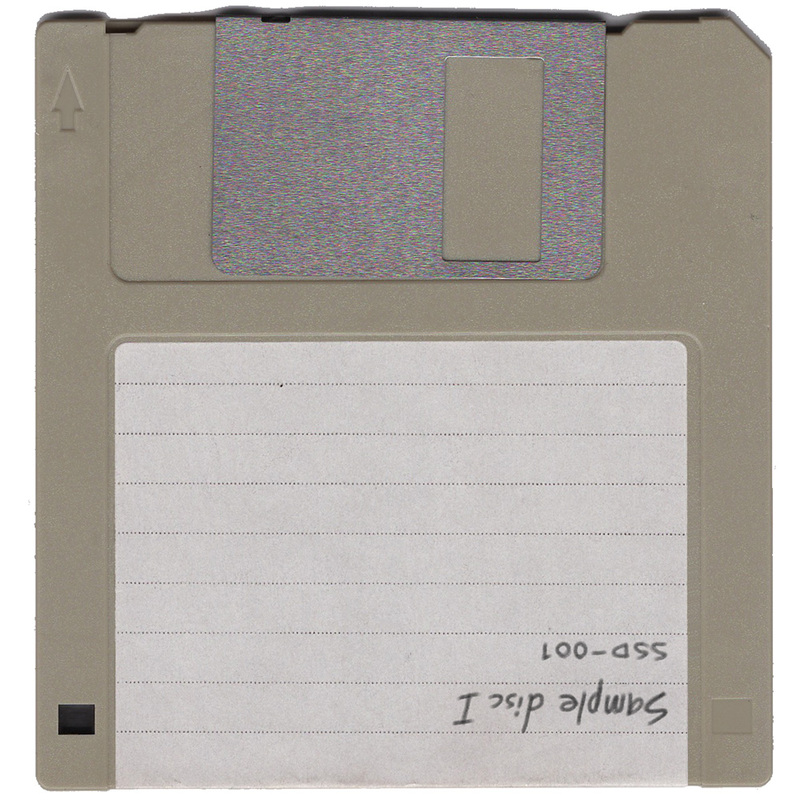 The concept is centered around the amount of data that would fit on a machine in the early days of sampling, 1.44MB (the size of a High Density Diskette). The samples are provided license free from Transient Things Sound. The download contains all the building blocks you’d need to make a track – instruments, percussion and sound effects. Feel free to get creative, let us hear your results. Remixes from upcoming album “ofullkomligheten” By [krig]. 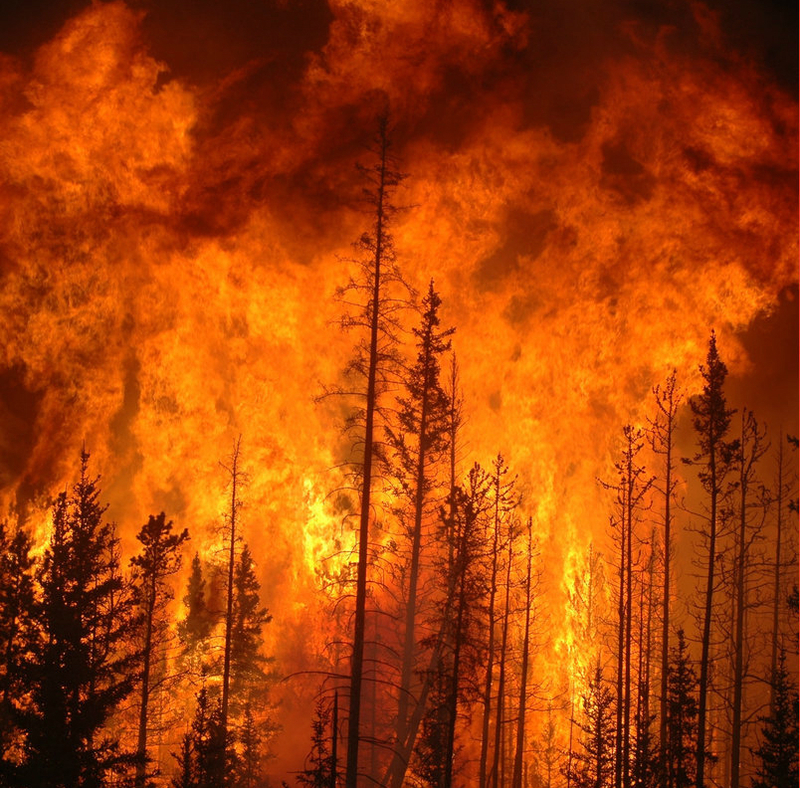 I juliaskan was inspired by the forest fires of 2018 and the upcoming climate disaster. The songs are sparse melodic melancholy tracks with a sound palette that evokes ambient, but these are actually concise melodic tracks. German 70s bands like Cluster and Tangerine Dream come to mind. But with the whole EP under 9 minutes, it still has a somewhat punk rock approach. Johan Ohlsson has been active in the music scenes of Sandviken and Gothenburg since the start of Stålverk and contributed to projects like Incognito Pop, Rodna, Lust and Asfalt. This is his debut under the solo moniker Tidsrymd. Originally recorded in 2014 and mixed in 2017. 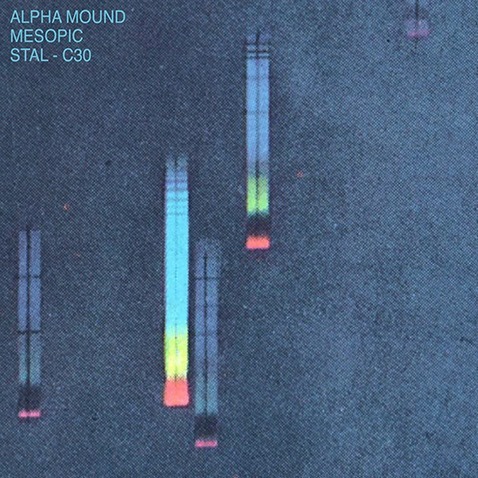 Mastered on analog tape by Alpha Mound. Concept art (Lo mask) by [krig]. The chemical imbalance theory of mental illnesses such as anxiety and depressive disorders, has been widely criticized by pshychological research but remains in the popular consciousness and as a basis for treatments. Medicine, prescribed or otherwise, may actually cause a chemical imbalance though, and that is the subject of the music on this tape. 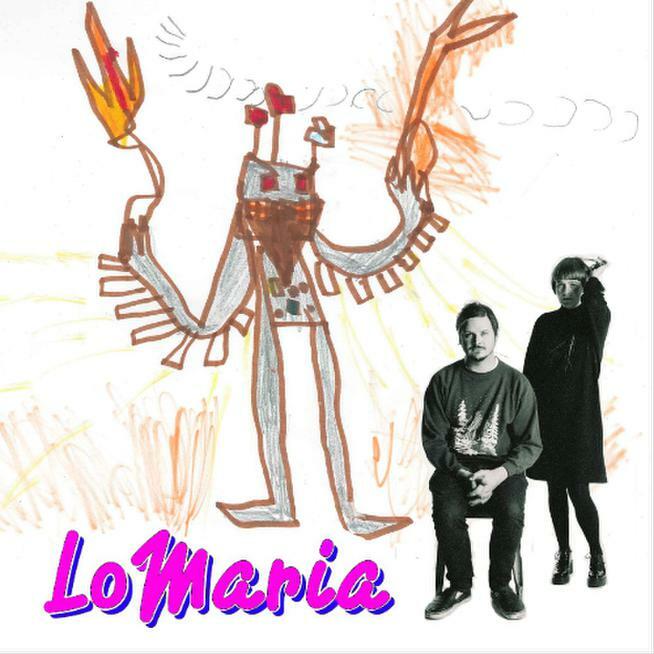 First cassette by LoMaria. 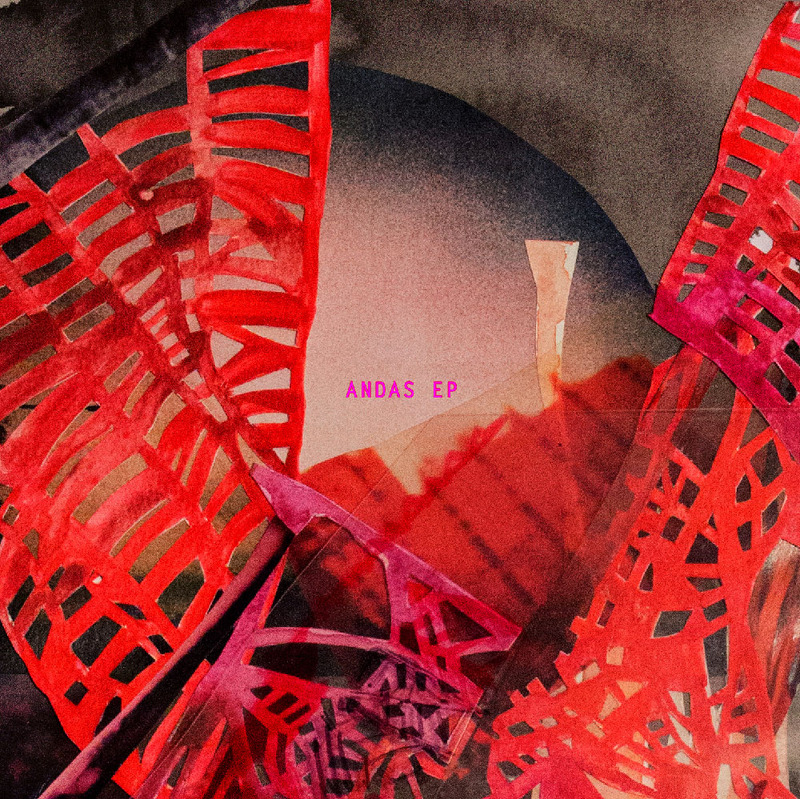 It contains elements of deep dubby electronics, synth pop and shoegaze soundscapes with Marias strong and emotive voice balanced by Olles dark mumble. The songs are mixed together like a DJ set in 112 bpm. It was mastered on analog tape by Joakim Westlund and contains artwork by Ivan Eriksson and a cover photo by Susana Santa-Marta. 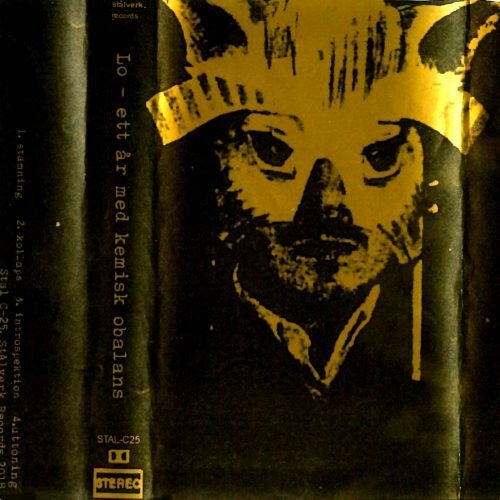 The second cassette release on Stålverk from Alpha Mound. 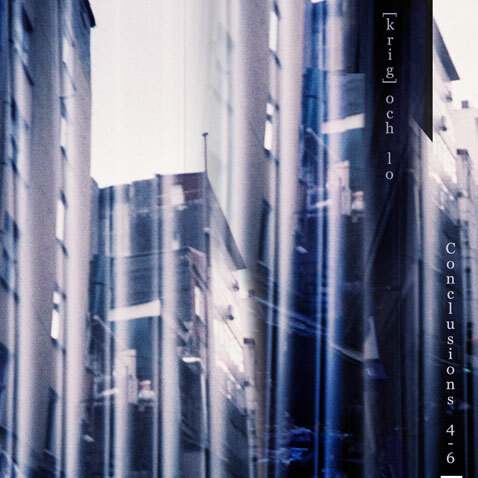 This time it is a eight track album of downtempo beats and ambient textures. Also some strong melody and song crafting on these instrumental tracks. Alpha Mound is the solo project of studio wiz Joakim Westlund, member of bands like The Entire Cast and Aerial and mastering mastermind for labels like Stålverk and Lamour. 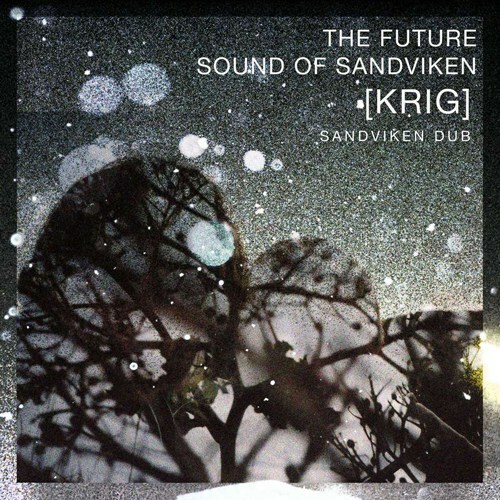 The Future Sound of Sandviken is the defining release for [krig] and contains four tracks of dark rhythmic dub infused post-electronic sounds. [krig] is an artistic expression consisting of music and other art forms that offers a glimpse into a different universe but also tries to physically manifest this [krig] universe in the “Real World”. If you have seen their live shows or art shows you know what this means. 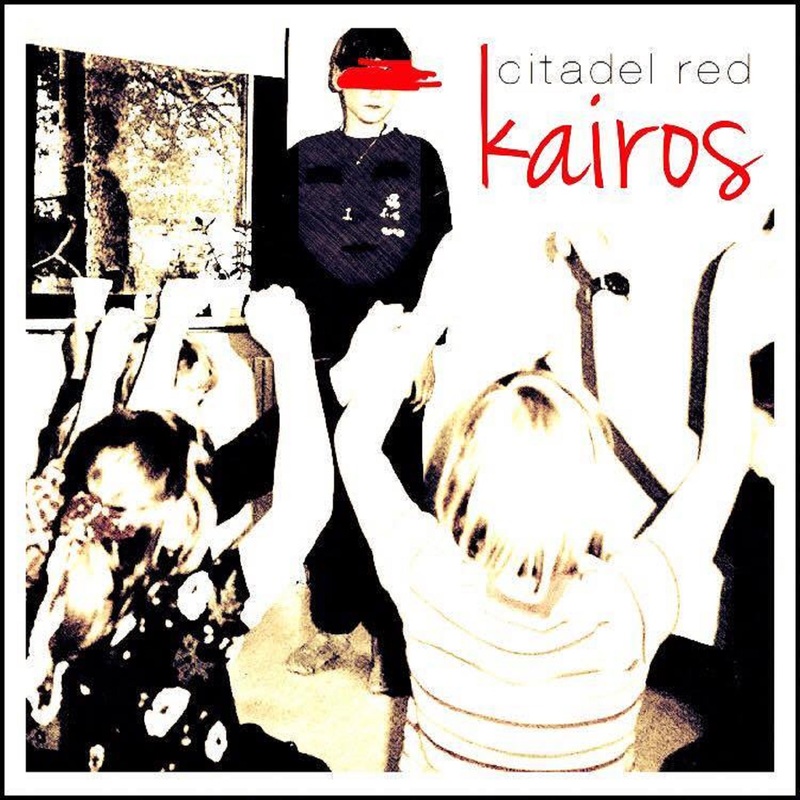 Kairos is Citadel Reds debut EP. It contains 3 songs of techno / electronic beats and 3 remixes. Anhedonia was the original title to the movie Annie Hall and means “the inability to enjoy anything”. We don’t need to overanalyze this but the tracks have a dark nihilistic vibe. [krig] goes dirty and rhythmic, AKB does beautiful ambient and Lomaria makes some form of hippie dance music. 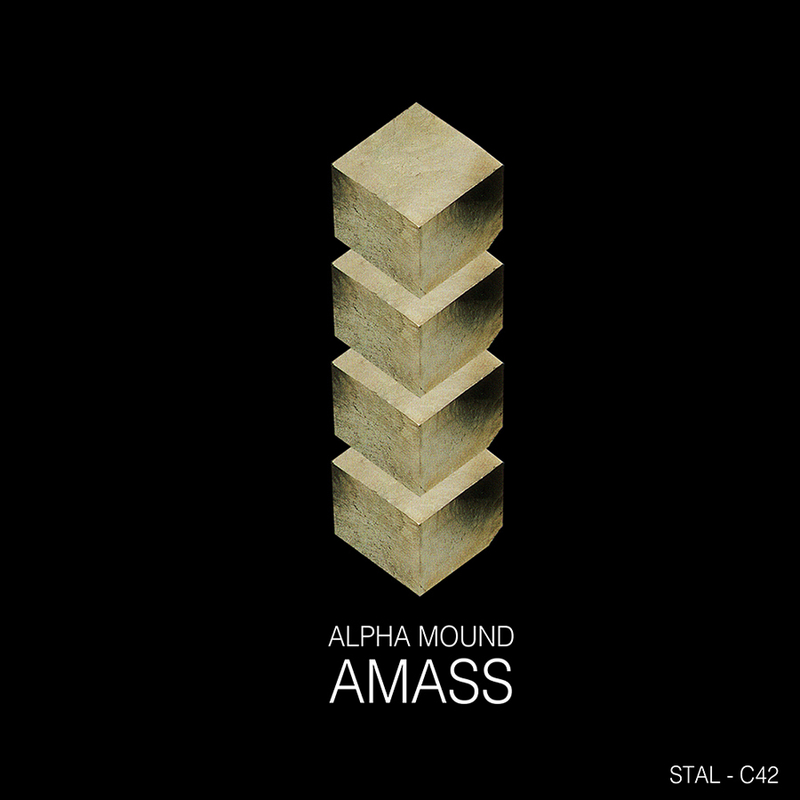 Amass is 4 song short, 42 minutes long album/cassette featuring the music of Alpha Mound. 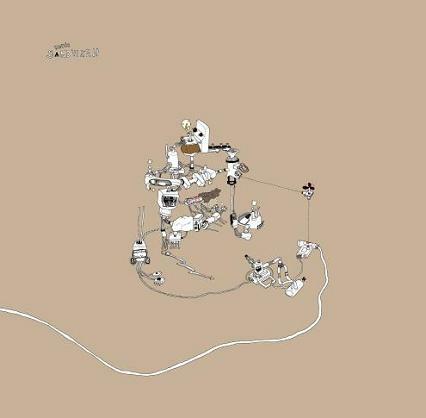 It is a musical odyssey ranging from ambient, soft-techno to post-rock. 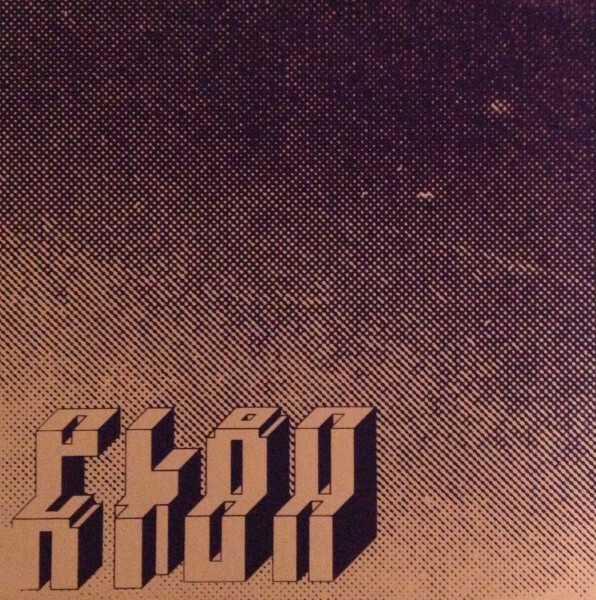 Split 12″ with Lo and [krig] picks up from where STALVERK#1010 left off. Fluid rhythm patterns, a dark tone and otherworldly edge. 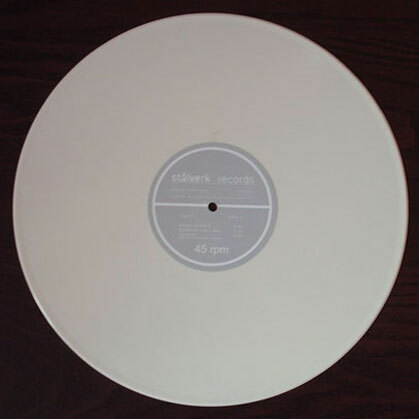 The second installment of Stalverk’s 1000-series of 12″es was released in late 2015. 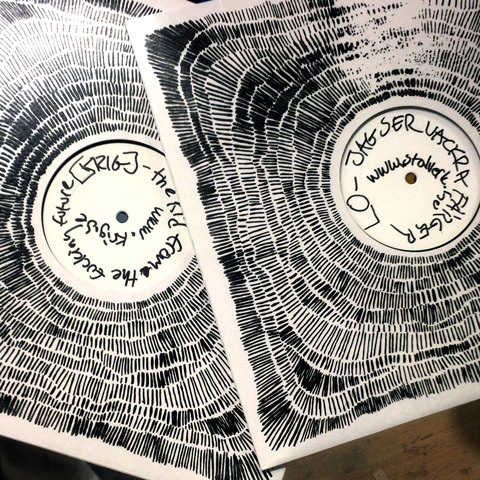 The cover is hand crafted, and the record contains one song each by Lo and [krig]. The music is a dark and primitive steel mill town version of electronic music that is The Sound of Sandviken. Call it techno, electronica, dub techno or whatever. [krig] does their usual dark rhythmic style, close to industrial harshness on this one, with some really apocayptic voice s*mples. They Walk Among Us is a no nonsense – techno track with acid and dub leanings. 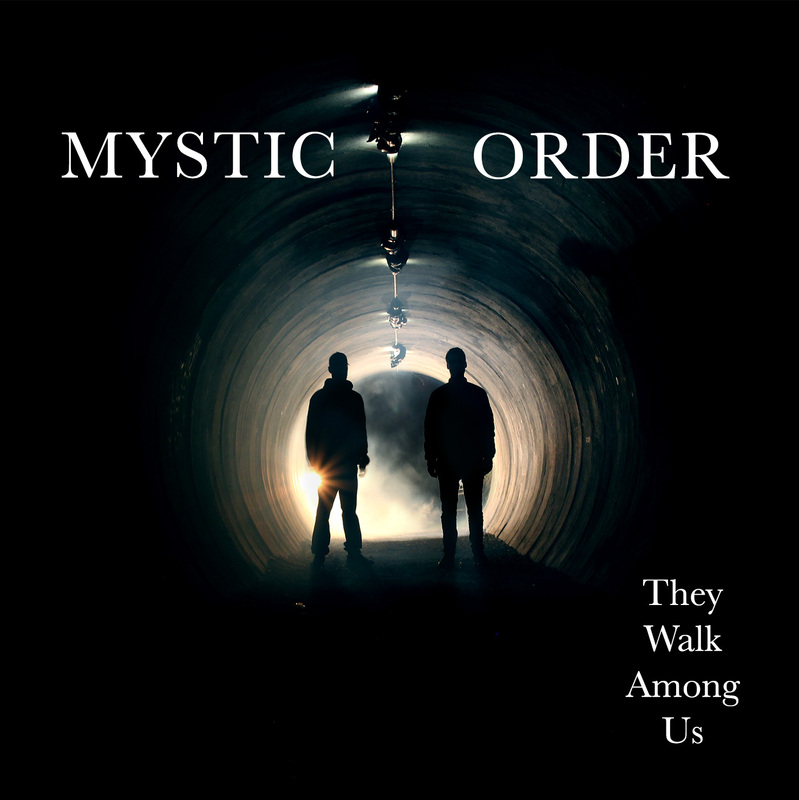 Mystic Order started making tracks and doing parties back in 2015 and this is their first addition to the Stålverk sound. 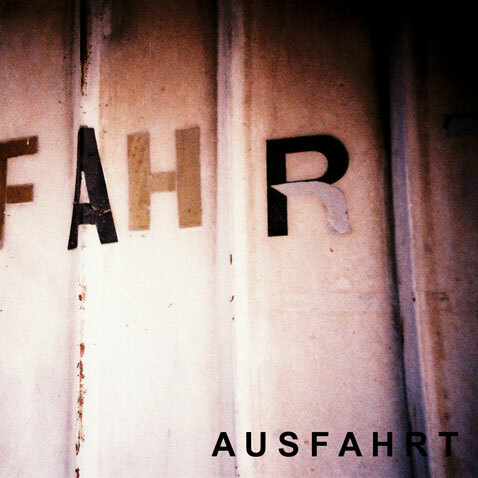 They keep the industrial town mentality to music- harsh, dark and minimal. The track has been reworked to four different pieces of music by some of Stålverks most prolific artists and some well known and respected names in the local scene. 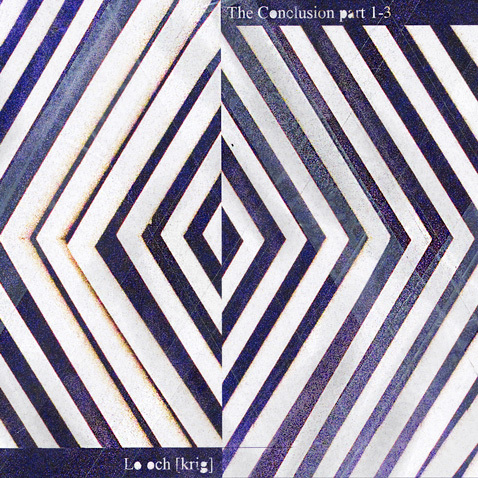 [krig] has made it into a primitive rhythm ritual, Slim Vic has expanded on the ambient sounds of the tracks, Lo/\/\aria (on their first release ever) has built on the vocal loop and made a low-key moody vocal techno piece, finally LEHNBERG works it into even darker more menacing techno than the original. A Conclusion, in logic, is a proposition concluded or inferred from the premises of an argument. If A and B have certain properties, C logically follows. If Socrates is a human and all humans are mortal, Socrates is mortal. A conclusion can also mean the last main part of a discourse, usually summing up the main points of the argument. It can also mean outcome or final product. Super Mario Bros 2 was originally released in Japan, developed by Shigeru Miyamoto and Takashi Tezuka, the creators of the original Super Mario Bros. Visually it looked very similar to the original game but it was considerably more difficult, intented for players who had already mastered Super Mario Bros.
American Nintendo felt the game was too difficult and would frustrate and alienate its audience, and started developing another sequel, the game now called Super Mario Bros 2 in the west (which is actually a rework of the japanese game Doki Doki Panic). The original Japanese version, has since become known as The Lost Levels, and re-released on various platforms. Masta Killa of the Wu-Tang Clan got his name from the movie 36 Chambers of Shaolin, where the main character is called Master Killer. Being less experienced than the other Wu-Tang members, he felt like he had to go through the 36 trials and challenges the hero of the movie goes through, to get to the same level as the other more experienced Wu-Tang members. Only one of his verses made it onto the Clan’s first album ”Enter the Wu-Tang”, the final verse of ”Mystery of Chessboxin” which is now considered a classic. In the Summer of 2013 they went deep into the woods of northern Gästrikland to the place Lumsheden, and tried to find the wisdom to complete their task. Perhaps failing and perhaps succeeding, you can hear their struggles on this recording. 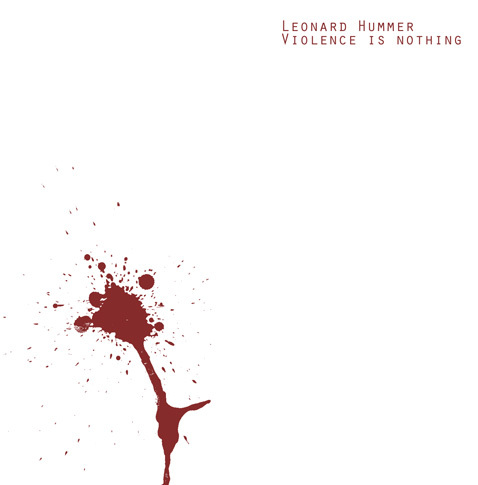 This is the third and final part of Leonard Hummers “is Nothing”-trilogy, originally started in 2008 with “Violence is Nothing”. “It feels kind of sad. I spent a lot of work on this, trying to find myself and who I am in music creation. But I am also, of course, very satisfied with completing this. Feels like I’ve done something during all these years, at least. The idea came after I had spent a lot of time listening to Stålverk releases and I wanted somehow to be a part of this. Before, I had composed more melodic stuff and it felt challenging to make something “more Stålverk”. In the beginning, it wasn’t meant to be a trilogy, it was more like it didn’t feel finished after “Violence is Nothing” and the idea took form. There is no red thread in the trilogy, but I wanted a sparse production and I tried not renew myself too much, it has to feel like one 1,5 hour long album. Playing piano from the age of five, Lenny has always been around music, playing it, beating it or programmed it. His compositions is mainly about the struggle to honor sound itself, when asked about what kind of music he makes, he will typically answer with a mood or an environment rather than a musical genre. This has resulted in seamless trips through the wide spectra of melodies and soundscapes,containing everything from mellow pads, rounded basslines and minimal beats to whirlwinds of percussion, abstract loops and filtered syntheseizers. He has made music to independent video game Sanctum 2 and made lots of solo releases. Check out his Bandcamp. distance, have done one track each. a five track techno album! SA-FA-RI was an improvised live music and art project with [krig], LO, Eldahid, Alpha Mound and Wild Invalid performing a live set that lasted an entire weekend at Galleri Lars Palm, during the “Ta livet i dina egna händer” festival at Kungen, Sandviken. Some of the bands performing at the festival, like Deer Tracks, also participated at times. The whole thing was recorded and then the individual artists were supposed to find interesting parts to mix (there was a whiteboard in the room, where you could write down what time it was (i.e. “23:35, good 10 mins”), if there was a particular part of the set you really liked and later wanted to find and mix). Then Alpha Mound mixed three tracks that sounded really cool, and then there was a hard drive failure and the rest of the material was lost. But this document remains of an interesting process of recording and composition. “From the SA-FA-RI live show I participated in together with [krig], LO, Eldahid and Wild Invalid. 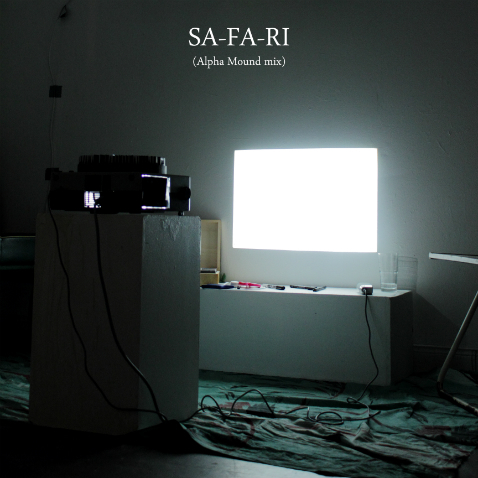 The SA-FA-RI one is just a mix by me with all of aforementioned acts including me performing live.” – Alpha Mound in 2013. Cover by: [krig] & Alpha Mound. 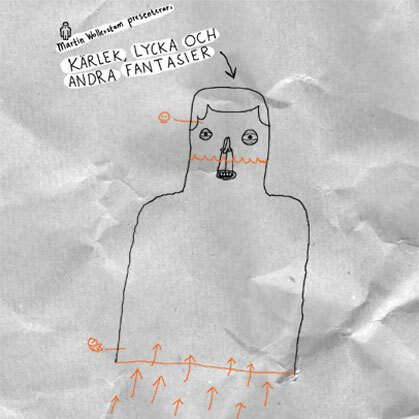 The basic tracks were recorded in Stockholm, Moscow and international air space, arranged and mixed in Stockholm in early 2013 by Lo Olle Ohlsson. Mastered by Joakim Westlund in Sandviken, Sweden. Cover by: Lo Olle Ohlsson. the end or close; final part. the last main division of a discourse, usually containing a summing up of the points and a statement of opinion or decisions reached. a result, issue, or outcome; settlement or arrangement: The restitution payment was one of the conclusions of the negotiations. final decision: The judge has reached his conclusion. a reasoned deduction or inference. Logic. a proposition concluded or inferred from the premises of an argument. the effect of an act by which the person performing the act is bound not to do anything inconsistent therewith; an estoppel. the end of a pleading or conveyance. in conclusion, finally: In conclusion, I would like to thank you for your attention. try conclusions with, to engage oneself in a struggle for victory or mastery over, as a person or an impediment. 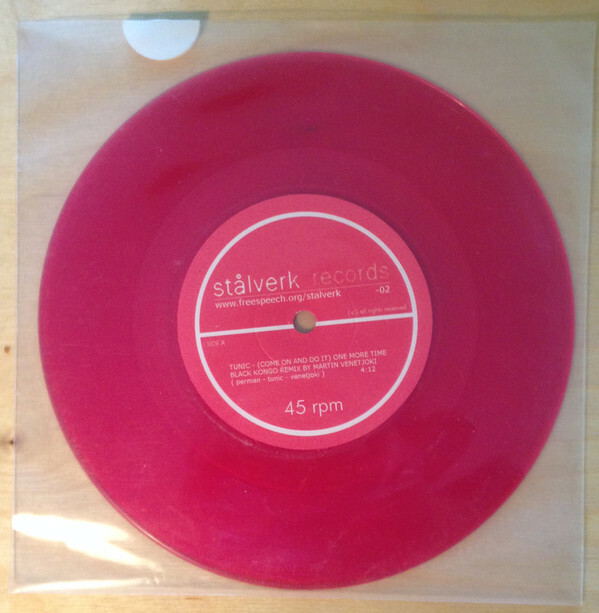 The first release in a new series, STALVERK1010 features one track each by Lo and [krig]. It is an artistic statement, made to present a new universe of sounds, rooms, beings and ideas. Side A focuses on a dense melancholic atmosphere, framed by a straight but organic, free flowing rhythm track and lots of echoes, an unearthly and dream-like meditation on sound. 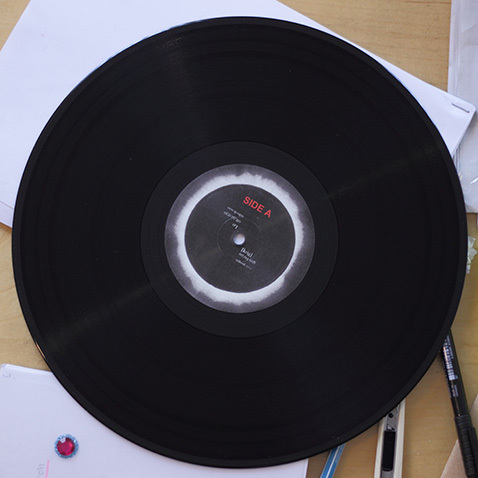 Side B is more rhythmic and direct, with a voice sample in the beginning of the track proclaiming “give a meaning to our lives”. The track uses mainly percussion and synths to create a unique polyrhythmic pattern. 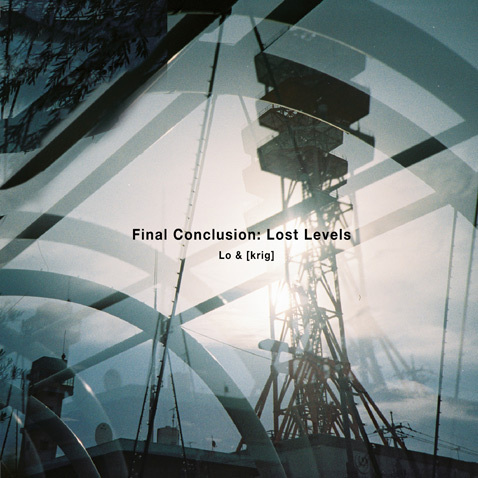 A half hour live set in three parts recorded in may 2012 by Lo and [krig] in Stockholm Sweden. 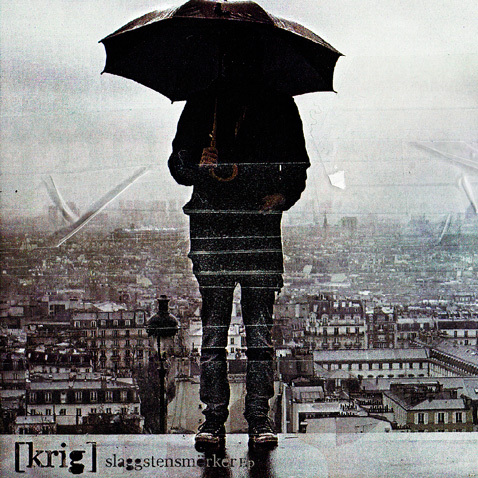 The music is a synergy of the rhythmic attack of [krig] and the atmospheric melancholy of Lo. Samples outline the themes of existential dread in a post-industrial landscape of urban decay. Thirty-three minuite piece of progressive minimal techno. 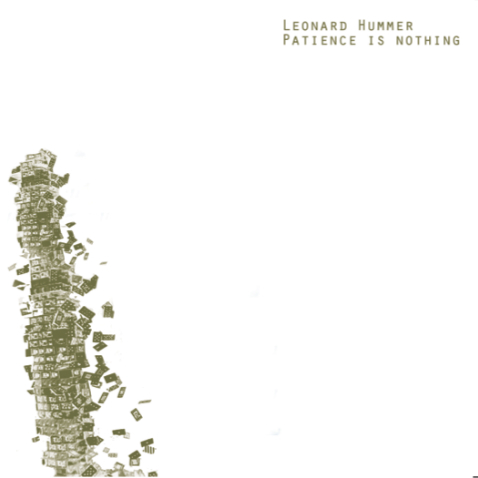 Leonard Hummer was born at the piano and everything he touches as an artist has the nerve that is created by a complete dedication to sound. Olle Ohlsson and Jon Perman met at primary school. They both attended the small Västanbyns skola in the northern parts of Sandviken. This was in 1989 or so. Pretty soon they started making music together. One of the first projekts was the punk band “Latex”. Their first song roughly translates as “Sick of everything”. In 1996 or 1997 they started a band “Tunic” along with a friend Jessica (Aspeby), and pretty soon after that, in 1999 or so, they started their record label “Stålverk”. Everything that label does in some way connects to these two, but this release is a special celebration of this friendship and artistic partnership that has lasted over 30 years. 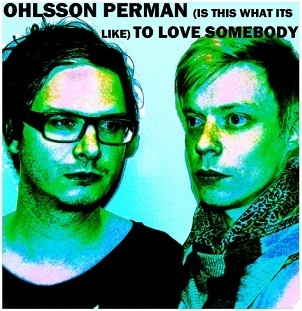 To date the only release under the name “Ohlsson Perman”, “(Is This What It’s Like) To Love Somebody” is a two track electronic release, inspired by some old techno from the 80’s but with the special Stålverk small town punk sound. 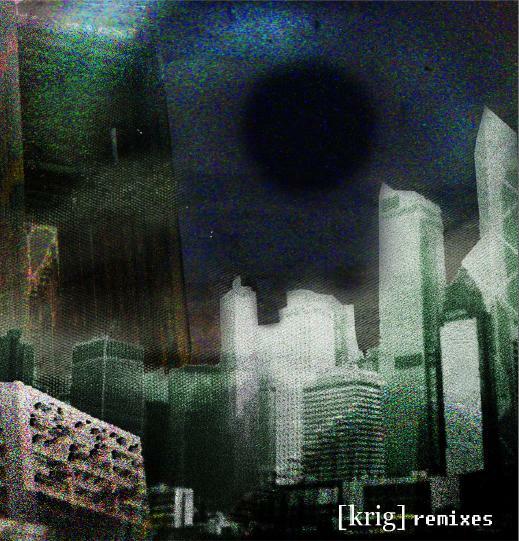 [krig] remixes features [krig] versions of songs by St�lverk artists and St�lverk associates and artwork by [krig]. 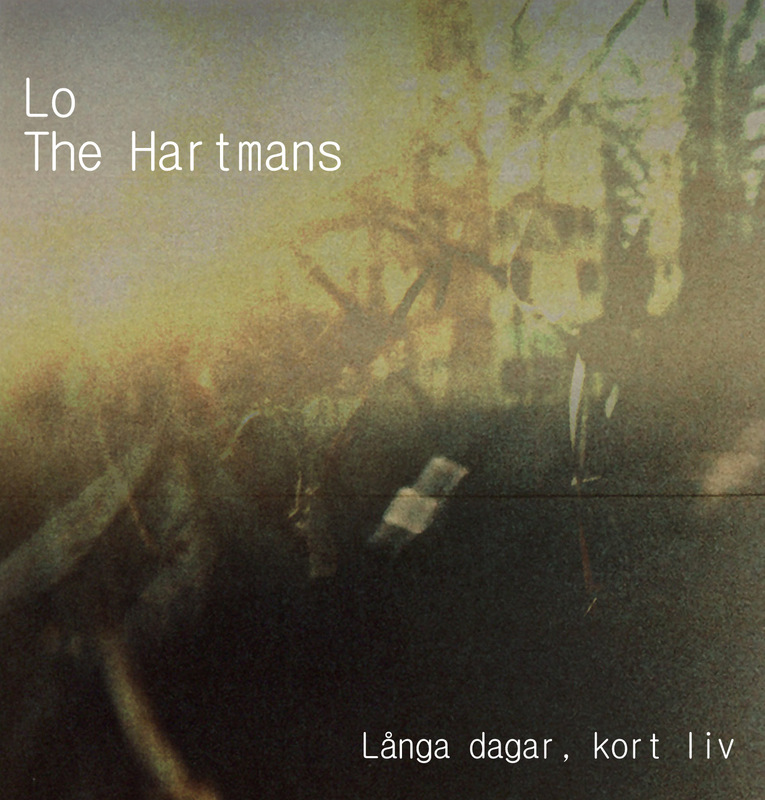 Originally written and recorded by The Hartmans in 2008 and released as a 5 song demo. 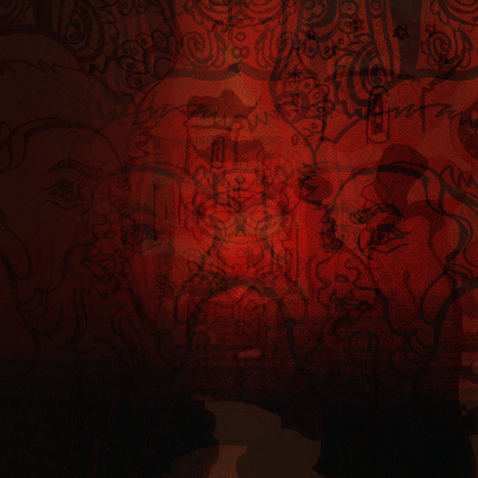 These versions were made by Lo in 2009. 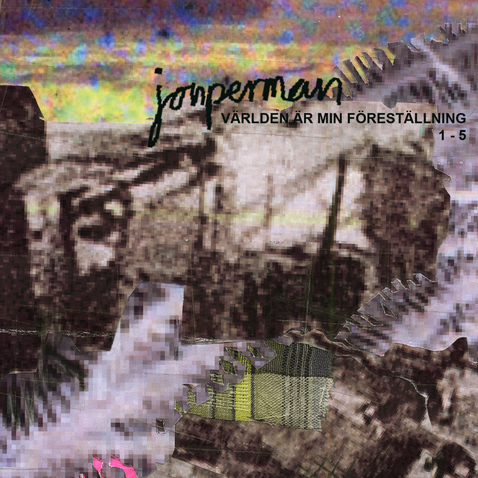 Track 3 contains elements of “Västanbyn dub” by Plankton. Lo is from Sandviken, The Hartmans are from Östersund but have been given a temporary citizenship of Sandviken for this release. 3 songs that saved my life. 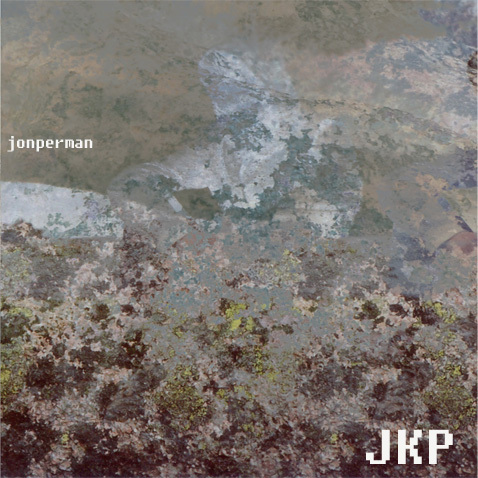 Jonperman is the a new start for Jon Perman as JKP. 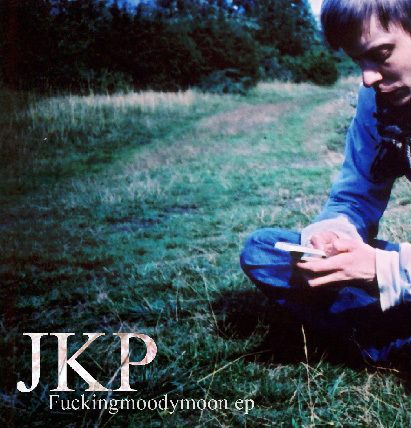 JKP makes music from the psyche and the unconscious. Karin Bäckström in Austria and Göteborg. Taken by Karin Bäckström at a very very secret location. “Violence is nothing” is organic yet synthetic, monotone but still flexible. It’s not an album with 7 songs, it is a 30 minute digital story with its pulse beating at 127 BPM. This is the musical part of a musical/fashion/lighting performance/club project made during spring 2009 by Jon Perman, Karin Bäckström and Carin Wallenberg. 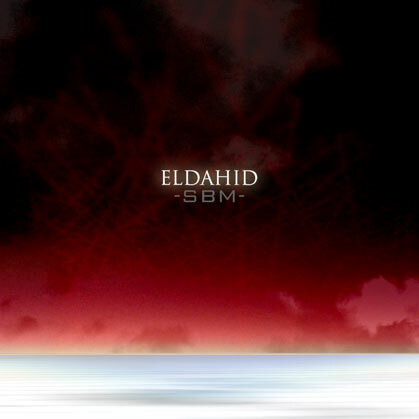 This is Eldahid’s debut solo release. It is a bit experimental but has a lot of structure! You can dance to it or just hang out, so it is very functional! it contains elements of both techno, kraut and ambient noise, in the exact dimensions that is best for you! 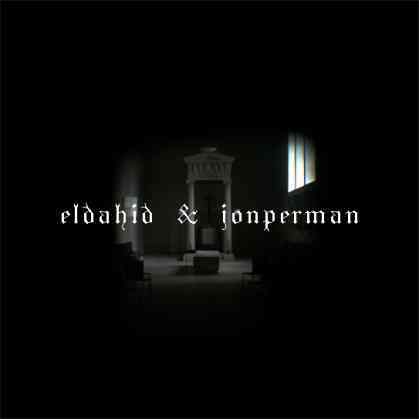 This is the first collaboration between Eldahid & Jon perman. This collaboration was done 2008 and marks a new more minimal approach to dark techno. It has kick drum, atmospheric sounds and low key electronics. Eldahid a.k.a. David Palmberg has been a DJ and done artwork for parties and other stuff connected to Stålverk for many years. More recently he has been working under the alias Strömkarlen. You can find some of his DJ sets linked below. 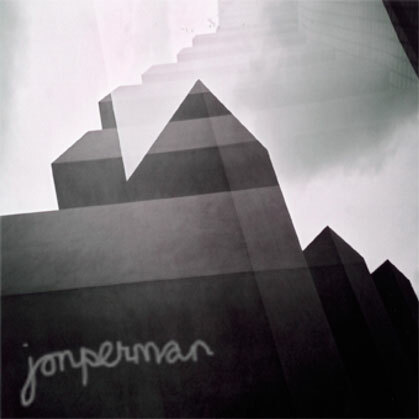 Jonperman a.k.a. 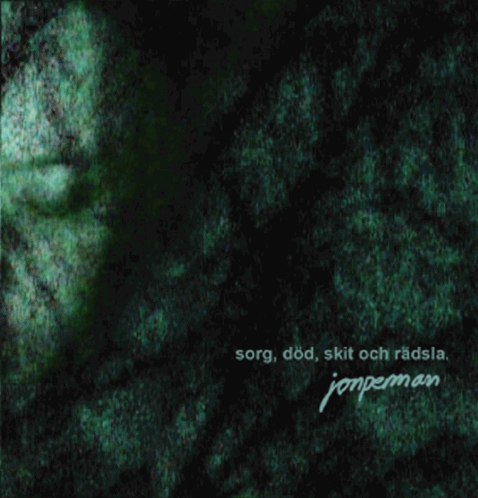 Jon Perman is co-founder of Stålverk and has contributed to nearly all releases, as JKP, Jonperman, [krig], in Tunic, in Ohlsson Perman and more. Cover art by: David Palmberg. 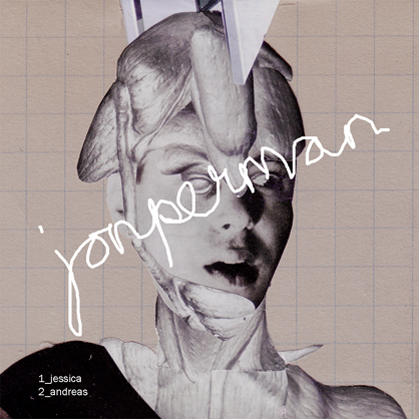 This is an EP by Jonperman. It is based on old science fiction movies. Vocals on track 1 by Filippa Lindahl. Lust made pop music. This is their first two song EP. 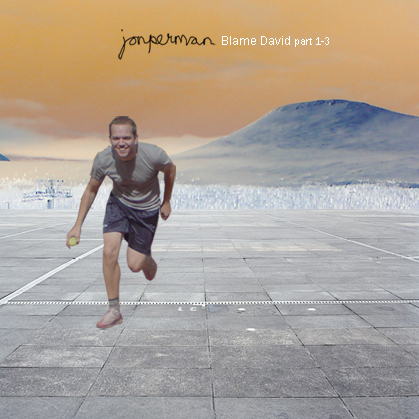 David (who you can see on the cover) told Jon one night (although he doesn’t remember it) that he needed to stop being so artsy and do some techno. So, that’s what happened. Jessica is built around the sounds of processing metal. In Sandviken where we come from, you can always hear the sound of the steel mill and (coincidence or not) or current studio in Gothenburg is located under a sheetmetal firm. The voice is used for contrast. 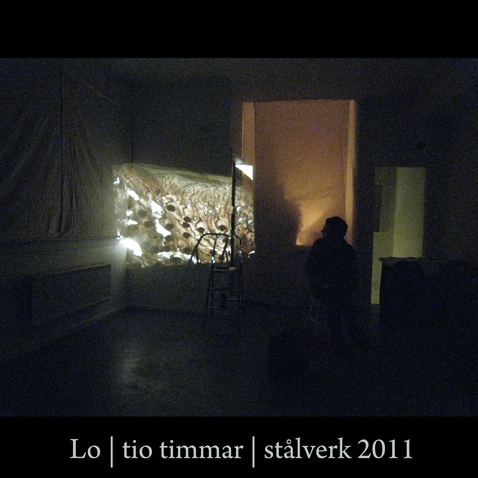 Both songs are part of a new series inspired by and dedicated to people in and around the Stålverk collective. 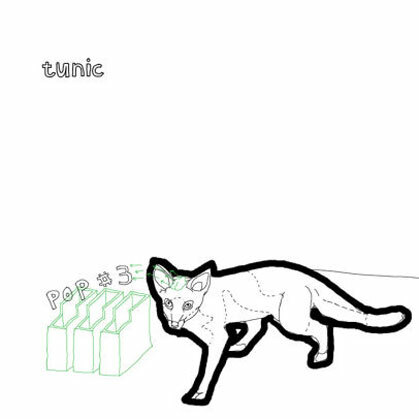 The fourth installation of the Pop series is the first one to consist of completely new material (for information about previous Pop, see Pop#1). So, we made this one in three days, in a sudden burst of energy, inspiration, frustration, desperation or whatever you may call it. It is what it is, we call it Pop#4. 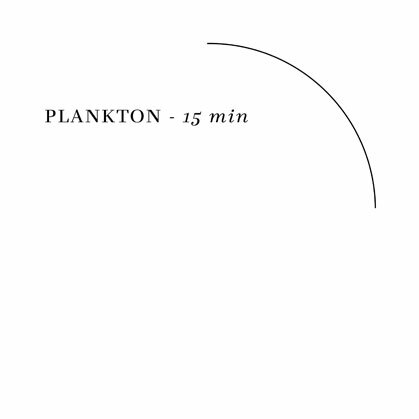 Plankton had 15 minutes to spare before leaving the studio, after finishing an unrelated production. They decided to write the basics for a new song in 15 minutes, and later decided it would be interesting to make 15 minutes of music out of the basic tracks: a cellphone sample, two drum sounds, a bass solo and a string loop. 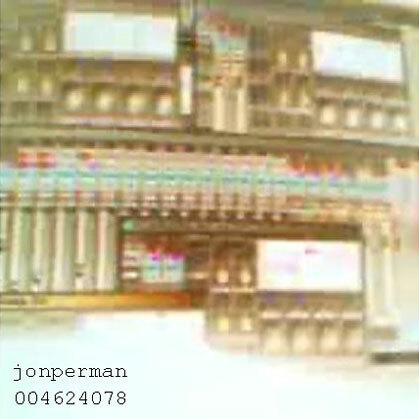 Jonperman was also approached to make 15 minutes of music from the same basic material. 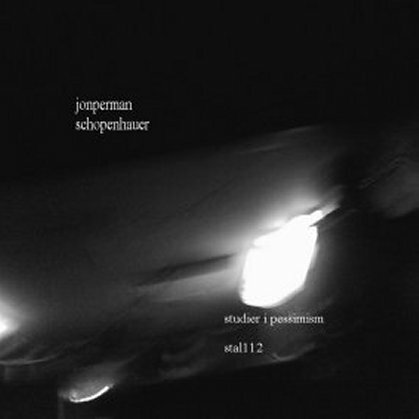 Stal-112 has music by Jonperman and excerpts from Studies In Pessimism by Arthur Schopenhauer. 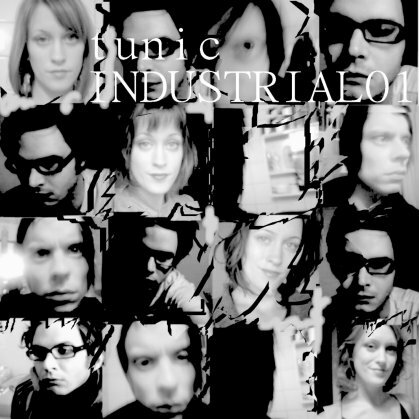 Industrial is installation#1 of (yes!) a series of shorter Tunic releases, aiming to express “industry”, in any way you could interpret the term (except as “industrial music”, the music genre – Tunic doesn’t do genre music, only the exact music they mean to do). 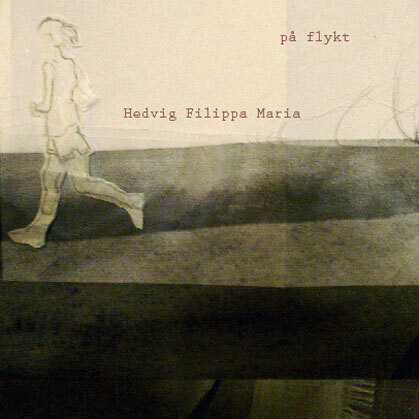 På flykt is the first ever heard track from Hedvig Filippa Maria. 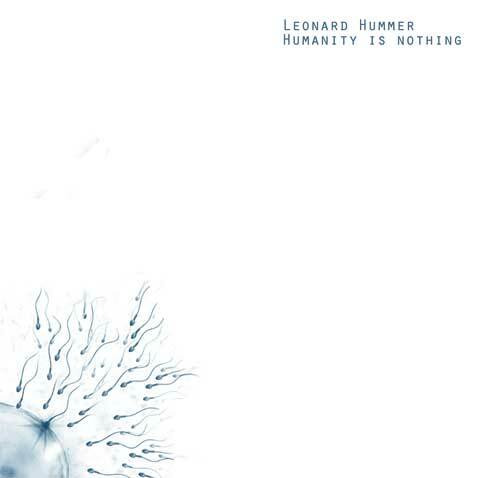 It has beautiful vocals and sparse but intense layers of electronics and/or instrumentation. We really think you should try this one. You can listen to it while doing anything. Tunic – Sandviken LP is the first full-length release by Tunic. It has Roland beats, guitar noise, analog synth beeps and more stuff. Three singers with individual styles contributing stuff. 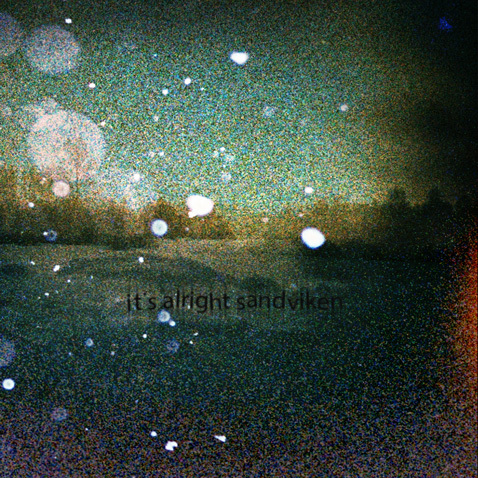 Sandviken LP, much like many debut albums, is a record that sums up everything important about the people who made it and the time and place it was made in, in a handful of pop songs. Tunic has played together since 1996. They have always consisted of Jessica Aspeby, Jon Perman and Olle Ohlsson. They do this for a reason: to express an idea as a song. Not to be a rock band or to have something to talk about at parties or to have a career or to have fun. Tunic has continued making music even though members have lived in different cities and countries, done stuff in life and various other music projects. But their essence remains at Kungen, Sandviken. Tunic always reinvents itself and always seeks new forms. This is some more sound-based stuff for headnodding or just hanging out. If you like music, theres a chance this is for you. Probably mostly for headphone use. Västanbyn is no more. This has some out of tune pianos as well as electronics, folk-style guitar and all the other stuff that goes with middle-class childhood. For home use or a lounge-type club situation. 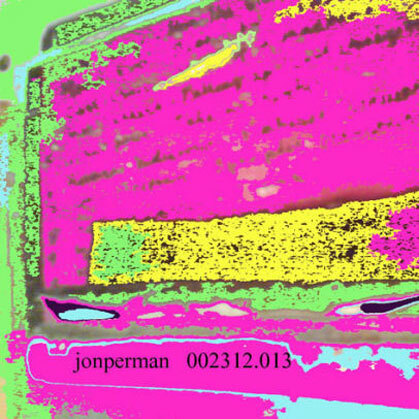 002312.013 was Jonpermans 1st solo release electronic music. Martin Wollerstam has earlier made cover art for lots of Tunic releases and this is his debut comic book album which consists of 69 drawings with text, covering topics such as family, relationships, bipolar disorder, drinking, animals, plants, happiness and other fantasies. 69 Illustrations with text, in Swedish. About Pop#2: Cover by Martin Wollerstam. 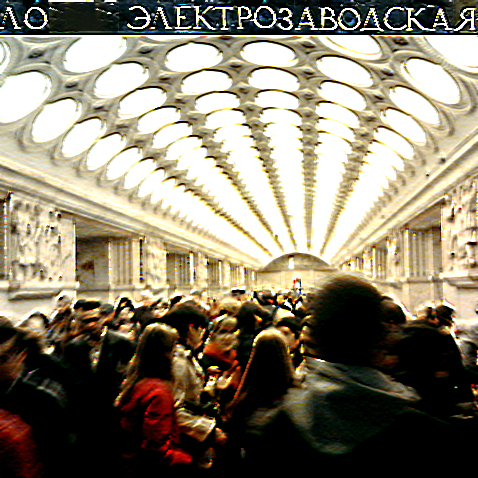 Recorded 2006, 2007. For more info about the pop series, see Pop#1. About The Pop Series: After we finished the actual recording of the album, in the summer of 2005, we spent about a year writing and recording cute pop songs, with more primitive production, more acoustic guitars, more harmonies, less techno and less guitar noise. However, the songs didn’t seem to fit together in a way that would make a good second album, so instead we decided to just release them as singles on the webpage, about one a month until we’re out of good material. Martin Wollerstam did the cute animals. 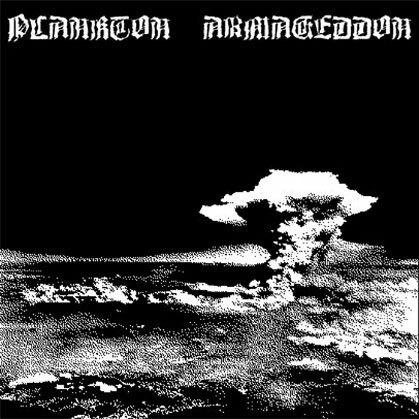 Armageddon LP was recorded on slow days 2004-2006. This final mix was made May 2007. It is an instrumental record full of sounds, monsters, synthesizers and other digital or analouge horrors. For dancing or home use. Armageddon is near! 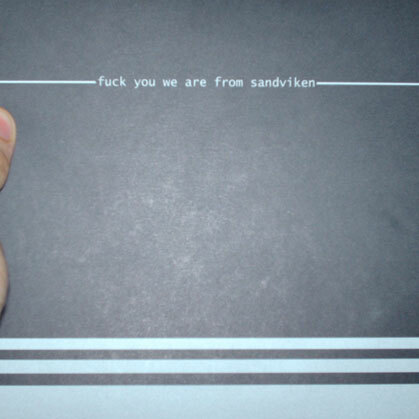 Compilation by artists from industrial smalltown Sandviken. It sounds steelish, strange and noisy. B1: Plankton – Hör upp, blindstyre! This one is sold out. Released 2003 and recorded the year before, Kill Speed Love is sort of the foundation of the modern sound of Tunic and made its way on to the tracklist of the Sandviken LP which is being released on vinyl as we speak (feb 2008). 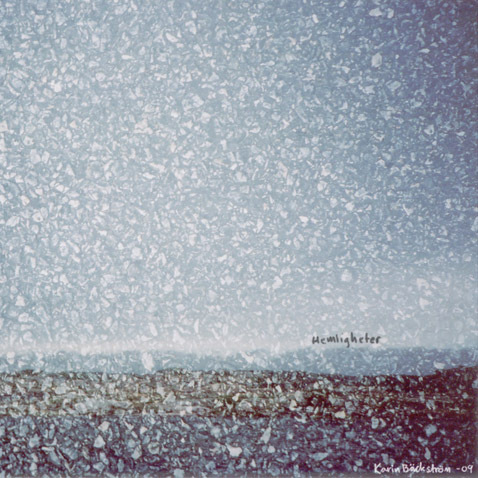 This was made during winter-spring 2002 and has the distinction of being the first record largely recorded in the Stålverk Studio. Olle (in 2016): Me and Andreas had an internship at Kungen (the famous Sandviken venue) and we were at the time very interested in analog synthesizers, so we started a recording Project that would become a long lived electronic duo. Rolands groovebox series made it possible to program a lot of drum machines and synth sounds and we did various experiments with a portable 4-track cassette studio and effect pedals. We listened to a lot of Krautrock records that were being reissued on CD back then – Neu!, Cluster, Can. We also found some vinyl records by Faust and Popul Vuh at the local second hand record store. We were playing a lot of Tetris at Kungen so we named the band Tetris! (the exclamation mark taken from Neu!) thankfully we realized pretty soon it is a very stupid band name and changed it to Plankton. We went to Andreas family’s summer house in Lingbo during the summer and made an album in a week. I still like it very much, some of it sounds very typical of its time – all those Casio synth-drum machines and blip blop sounds and retro video game stuff was popular back then. But I also think we used them out of necessity. The Roland MC303 wasn’t as good as the MC505 for programming drum sounds, so we used a lot of those standard synth beats like Bossanova (on the SA-21) and the VL-1 drum track because it was the best rhythm track we had available. But on songs like “Nattsudd” and “Bossanova”, I think we have captured the joy of machine music and made something atmospheric and musical. I think “Nattsudd” is the first sketch to the electronic sound I still do. It was very nice that we released this I think, a 4-track cassette recording released on vinyl, it sounds very analogue and is done with about 90% analog equipment. Only the mastering and a few overdubs are done digitally. We played in Berlin once when this record was out, which was great for us because Germany was our spiritual home. This was released in cooperation with another record company (Lady Godiva Operations) to share the costs, we pressed and sold half the edition each. 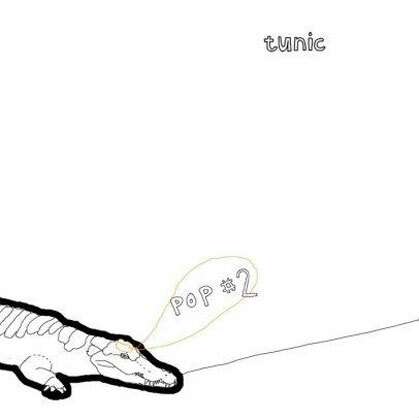 Tunic / Incognito Pop - Split 7"
Both tracks remixed by Martin Venetjoki. As our second release, we put out something I’m still very proud of. I think this is a unique record. A local house producer in his experimental phase remixes two punk demos and it becomes something else entirely. There is a point of contact with late 90’s electro-rock experiments – Primal Scream’s XTRMNTR, Atari Teenage Riot and some other underground stuff in that vein – but to me this record doesn’t sound like any of them. Martins effort should be highlighted – we just gave him a DAT with the separate tracks of our recordings and we got the finished result back. No one could guess what he would come up with. 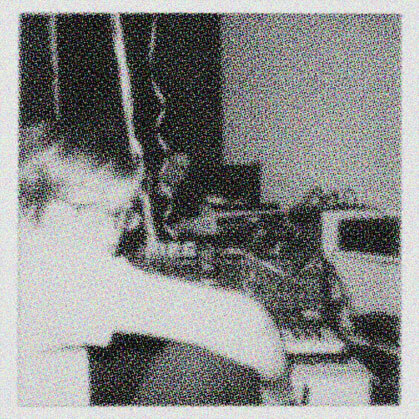 This was before digital recording became a big thing and you could mix instrumental tracks with electronic sounds easily – Martin has done this with a sampler and an old Atari 1040. The Tunic song to me really sounds like a band rather than a remix, the samples and electronic sounds blends perfectly with the distorted voice. I think this is how we wanted the band to sound but we didn’t know how it was done. Incognito Pop’s song is more the sum of its parts but it sounds even sicker, haha! The packaging is magic – It looked like a candy bag! 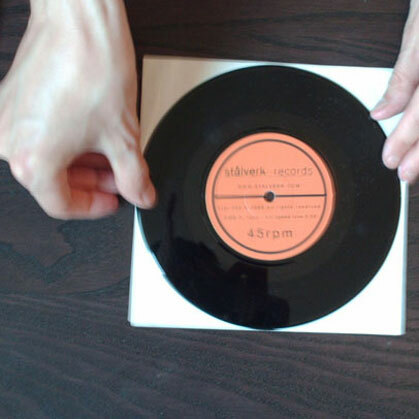 No big artist logos, no pictures, it’s a record! The medium is the message. All distributors complained that it quickly became ugly and looked old when it was in the record shops but it looked really cool when it was new! I’m very happy that we released this on vinyl and at the time it was very exciting to run a record label – to us this record was proof that we were pretty much ahead of everyone creatively. 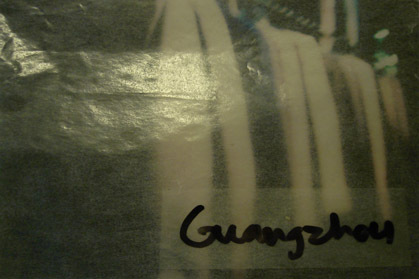 It sold only a few hundred copies on vinyl (like all our future releases as well, ha ha!) but just holding it in your hand and playing it at parties was reward enough.